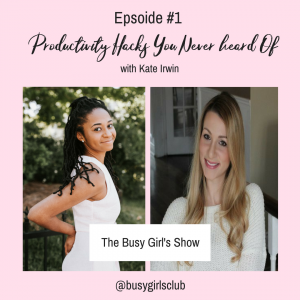 These days, it seems like the concept of self care is gaining a lot of popularity. And for good reason! Making a deliberate effort to cater to our physical, mental, and emotional wellbeing is one of the greatest gifts we can give to ourselves. It nourishes our body and soul, giving us more energy to then pour into our work, passions, and relationships. Here are some great things to buy to stock your self care toolkit. They also make fantastic gifts for anyone in your life looking for some R&R! I’d like to think that working from home has given me a PhD in comfortable clothing. Since I can wear whatever I want every day, I gravitate towards the softest and most comfortable fabrics and textures. Being physically comfortable in what I’m wearing is Step 1 in my self care practice. Here are some of my favourite items. I love this one from Forever 21 (and got it for less than $9!) but it’s already out of stock in some sizes and looks like it’s being discontinued. 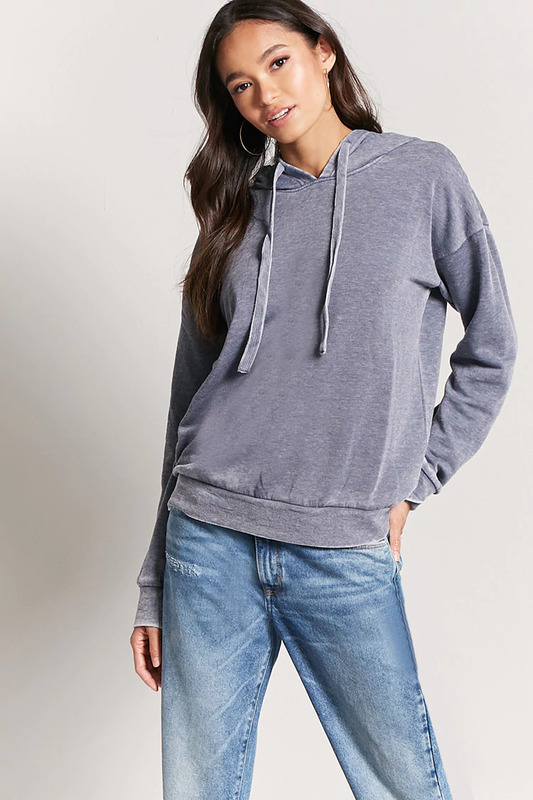 If that’s the case, check out Victoria’s Secret Pink or American Apparel which both have amazing sweatshirts. 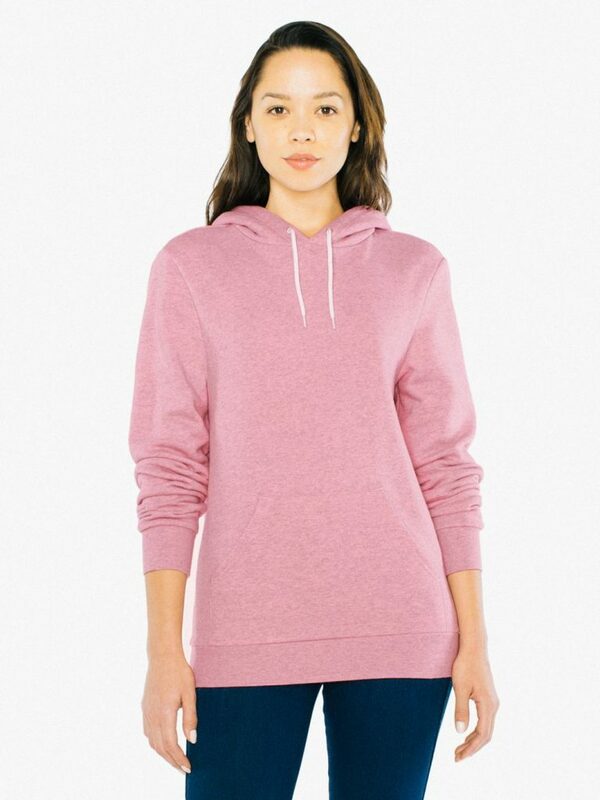 You can find the cute pink hoodie pictured above at from American Apparel. 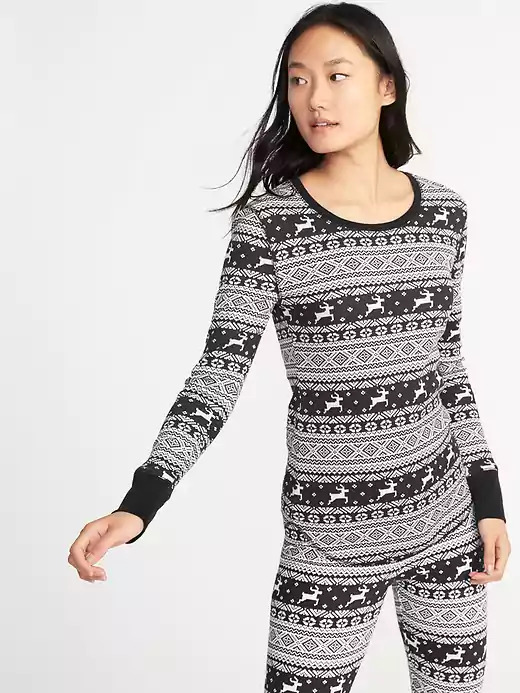 I’m pretty sure these are technically pyjamas, but who cares? 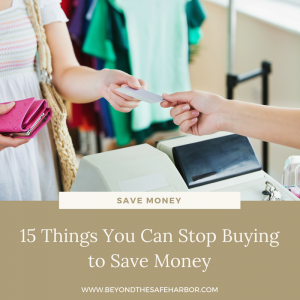 Thermal clothes are cozy, comfy, and breathable, and I love how you can layer them under bulkier clothes in the winter. 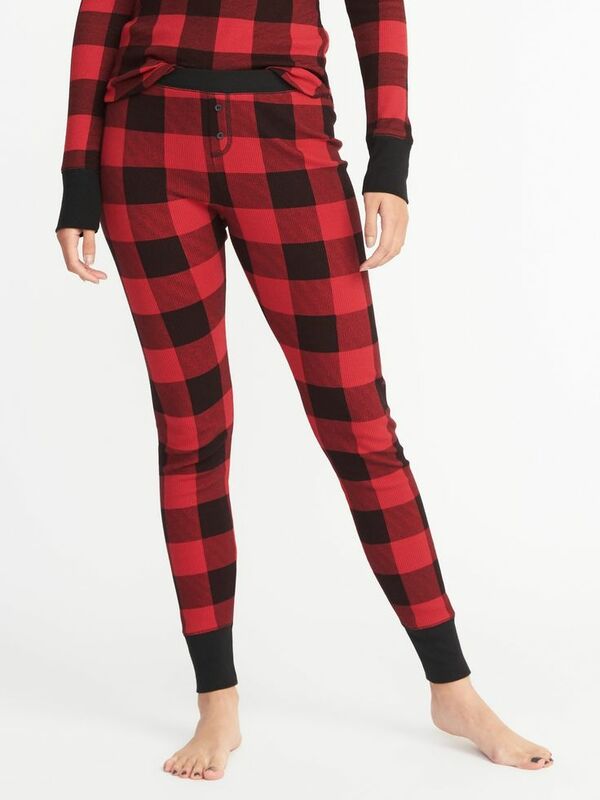 I buy mine from Old Navy’s Sleep & Lounge section, but they aren’t currently in stock. This set from Amazon looks like a great alternative! Comfortable socks are an absolute must when you’re investing in your comfort. I have two favourite types. The first are my pair of Arthur George socks (like these Carpe Diem ones!) 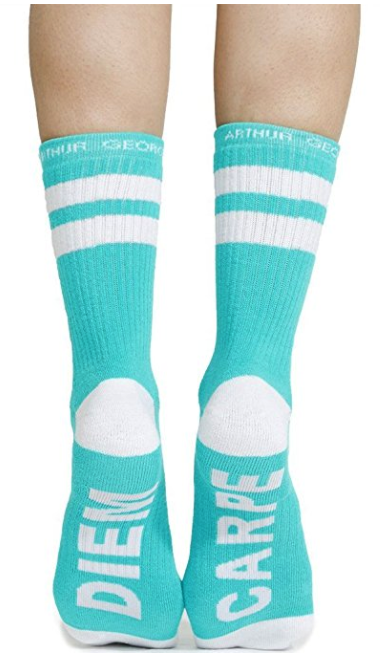 that are almost like compression socks. They’re thick and stretchy, and a dream to wear. The second are fuzzy socks! I’ve accumulated a bunch of pairs over the years, and my favourites are from Bath & Body Works and Old Navy. This 6-Pack from Amazon looks great too. There’s something about lighting a candle that makes a space instantly cozy. I love using scents like candles and sprays to make an atmosphere more relaxing and soothing. The 3-Wick Candles from Bath & Body Works are my favourites because of their scent range and how long they last. They also look so pretty when they burn, since the jars are normally clear glass and you can actually see the flames. 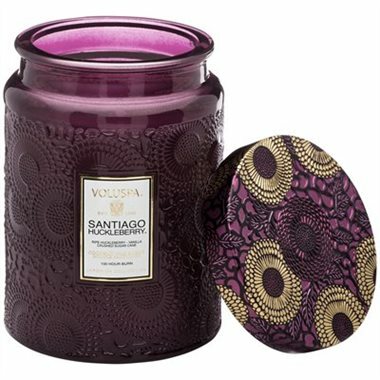 I also recommend Voluspa candles, which I buy at Indigo, but you can also find them on Amazon. They’re more elegant and decorative. If your self care routine involves journalling or reading in bed, invest in a good pillow spray! It’s a combination of essential oils that you spray on your pillow and sheets for an aromatherapy experience. Breathing in the scent instantly relaxes me and I use my spray every night. I’ve even travelled with it because I like it so much! 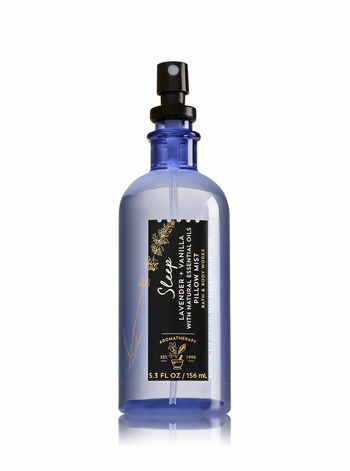 Mine is from Bath & Body Works, but this Asutra Pure Soothing Comfort Pillow Spray on Amazon looks incredible and gets great reviews too. Journalling is one of the best self care activities you can do. It helps you express your thoughts, work through feelings, and let go of emotions. 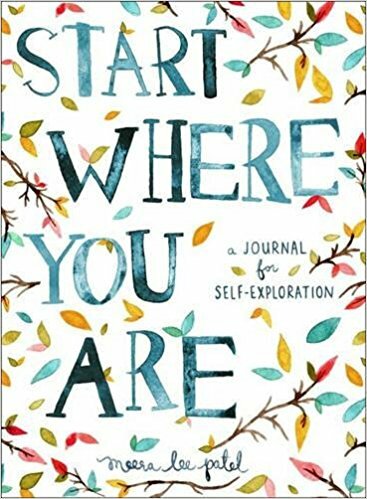 I love this Start Where You Are journal since it includes inspirational quotes and writing prompts. 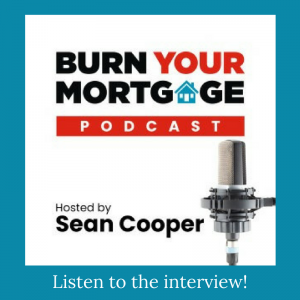 Looking for something more bare bones? This Soar journal is a simple lined notebook and features spiral binding to make it easier to write on both sides of the page. Reading is one of my favourite self care activities since it’s quiet, educational, and often screen-less (unless I use my Kobo eReader!). As often as possible, I try to read both before bed and when I wake up in the morning. I particularly enjoy reading personal development books in the morning as it helps me start my day on the right foot and gives me inspiration for making it the best it can be. 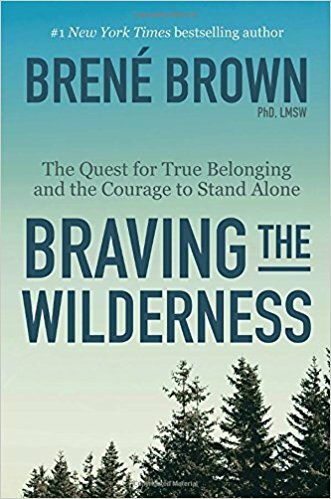 Two of my recent favourites are Braving the Wilderness by Brené Brown and The Year of Less by Cait Flanders. I’m not a big bath taker myself, but they are fantastic for relaxing the body and mind. The simple ritual of taking time out of our day to take a bath helps us disconnect from the busy-ness around us and tune into ourselves. Take your bath to the next level with bubble bath! This Deep Steep Bubble Bath in Lavender Chamomile looks fantastic. 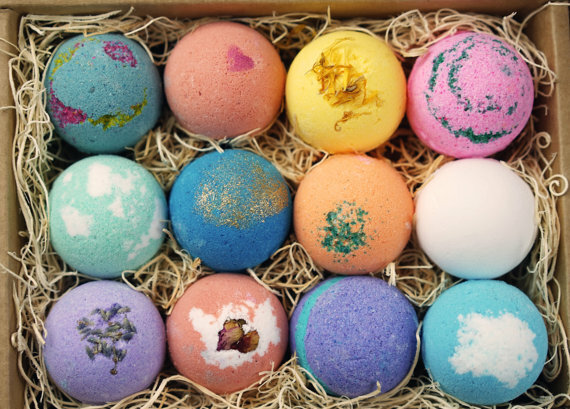 Prefer bath bombs? This set of 12 pictured above is handmade by an Etsy seller. 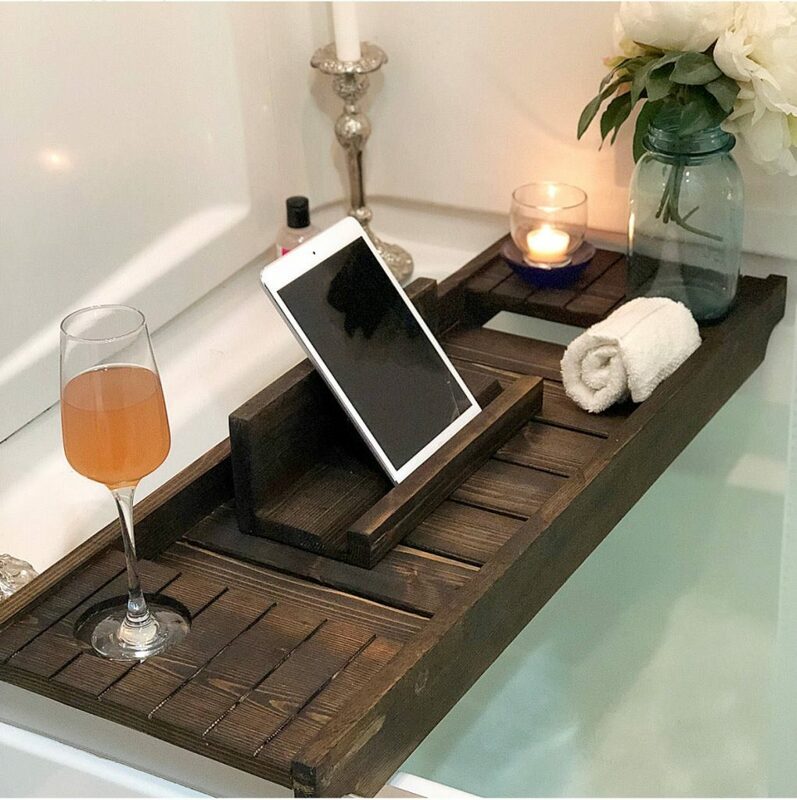 Want to read or watch a movie in the tub? This beautiful bathtub caddy from My Beachy Farmhouse Etsy is perfect for either! 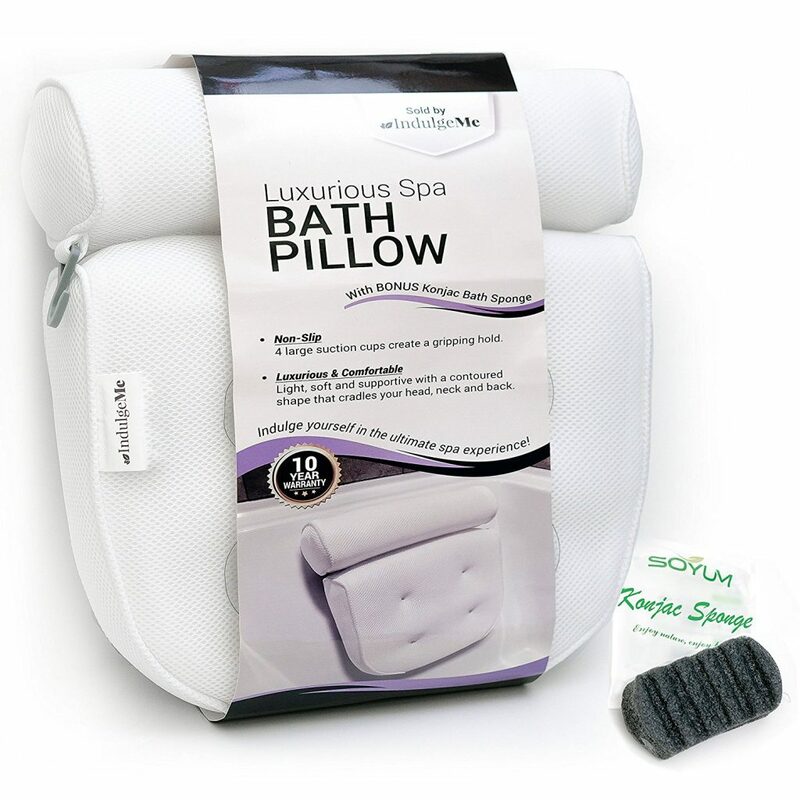 Keep your neck and spine supported with a great bath pillow. This one from Amazon gets fantastic reviews. Make your bathroom an at-home spa and do a face mask, scrub, mani, or pedi! This poses two extra benefits: first, you’ll be improving your skin or getting a mini makeover, and second, doing a mindful task like painting your nails can be great for your brain. Masks feel luxurious and can leave your skin feeling fresh and renewed. 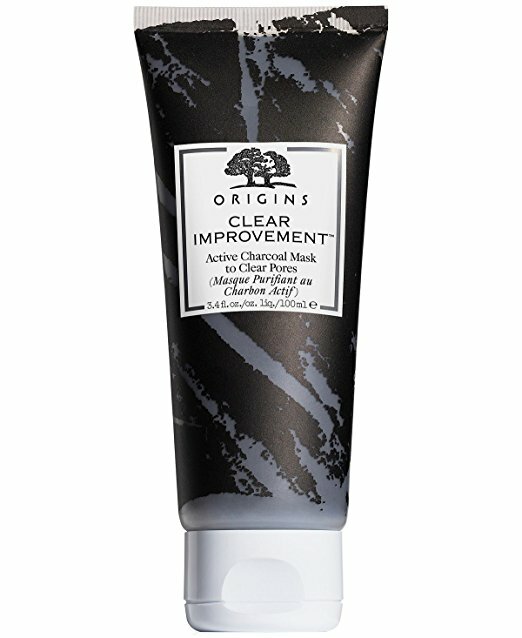 My current favourite is the Origins Clear Improvement Active Charcoal Mask. 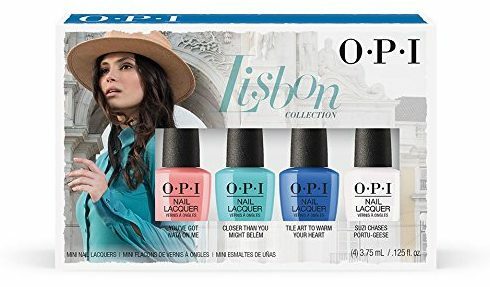 Give yourself a mani pedi with this fun set from OPI available at Amazon. Cap off your self care rituals with a delicious and nutritious herbal tea. 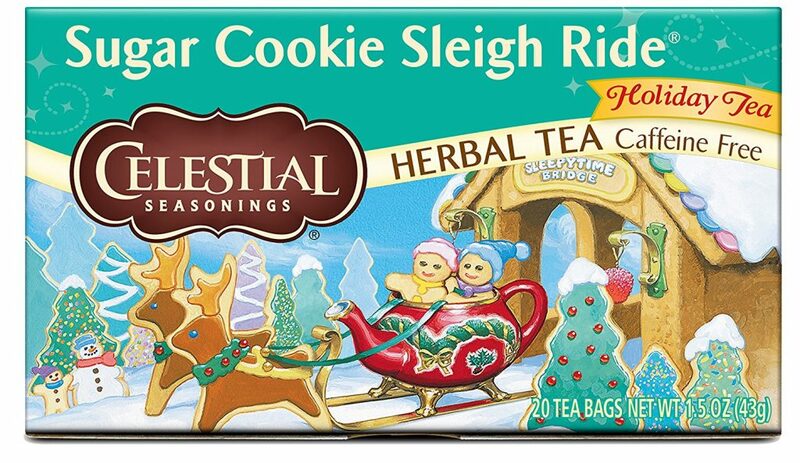 My personal favourite is Celestial Seasonings’ Sugar Cookie Sleigh Ride, but this Herbal Tea Sampler is a great choice if you’re looking for variety. There you have it: a bunch of products for your self care toolkit. Leave me a comment below with your favourite self care practice and any products you use! Not sure which activities to prioritize? Take my quiz What Type of Self Care Do You Need? to find out. 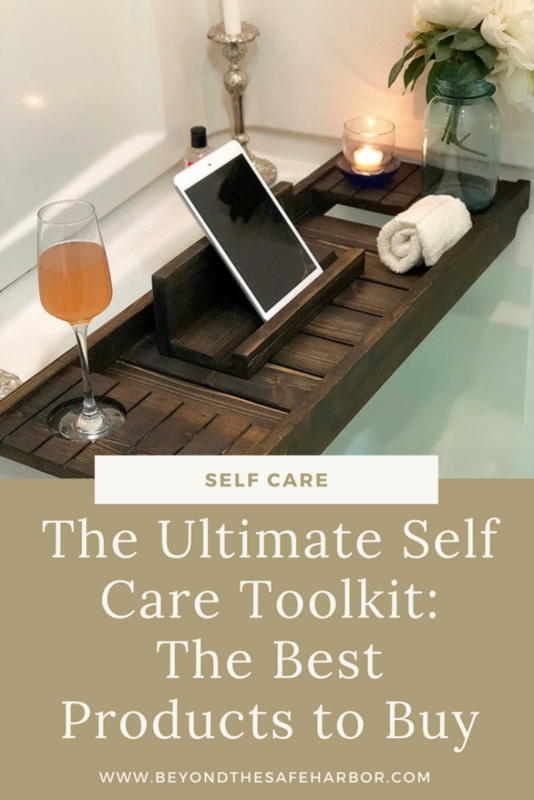 And check out my post 18 of the Best Self Care Strategies Every Woman Should Try for more ideas and inspiration. Lastly, for more self care product recommendations, read my post The Best Self Care Gift Ideas for Her.